Have you attended a past Cigar Safari trip? Please sign our guestbook below and tell us about your experience! and what your favorite cigars from the trip were? How did your blend turn out? Leave your comments below! Thanks for attending Cigar Safari! Was blessed the opportunity to go on the DE safari 3/30-4/02/2016. As soon as we arrived we were fed an excellent meal and then introduced to the lounge where all the delicious cigars were. I grabbed my Liga 9 and relaxed to a beautiful view of the valley and hills. The staff is top notch and they do whatever it takes to make your trip a pleasurable one. Henry our tour guide does an excellent job as well as his assistant Edward. I hope to go again in the very near future. Going on Cigar Safari was a lifetime experience that has not yet been surpassed. The fellowship and bond made with my fellow BOTL and SOTL and with the entire Drew Estate “Ohana” will be cherished forever. Much Love and Aloha to my Braddahs Jessi, Pedro, and Henry for all your generous hospitality and I look forward to returning every chance I get. I did cigar safari in 2012 and 2013 it is still one of my favorite vacations. How people look at you up here when you tell them where you are going. Then you arrive in Nica and the people are great, the knowledge you gain is amazing and the rum is pretty good. The biggest thing I’ve notice is how fast Esteli is modernizing. From the first time 2012 to just 1year later was amazing. Made a quick trip down in 15 and it is almost a different city. I cannot rave enough about the free estate crew. Just got home from cigar safari. One of the greatest trips of my life. Started with a couple friends. Met a few more the first day. By the end of the trip, I had a new family. Henry, Edward, John, Andrew, Scott, Christian, Hunter, Travis, Misty, Bill, Billy, Berto, Jeff. Glad to have met you all. Food was amazing, facility was top notch, and staff were warm and welcoming. I rate this trip 5 feral pigs. Most importantly, I have a rejuvenated attitude on how to conduct business. Drew Estate does it right. 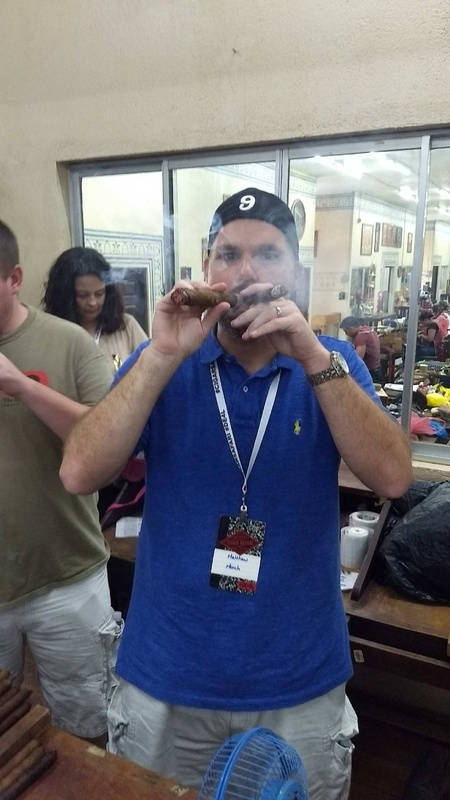 I did Cigar Safari 2015 in November. Words will really not describe this trip. I met an amazing group of individuals whom I now consider brothers. The way you are treated on this trip is amazing. I enjoyed learning about the Nicaraguan culture and seeing the pride that the people have. This is truly an amazing place. Maria and i just got back this past Saturday April 30. Great Experience. The staff at all the locations were courteous and Knowledgeable. The amount of work at all the facets of cigar production was truly incredible and with the hands on experience given us made it Amazing . Henry and Edward from Drew Estates were great guides and the entire Kitchen staff served Excellent food . Travis , Misty, John , Hunter , Christian , and the others on the Safari were nice , friendly and easy going people that were a pleasure to be with . Wish we had another day or two . All together Fantastic time . Will do it again. Attended Cigar Safari March 9-12, 2016. I had visited 9 cigar factories around the world prior to this trip. I fully expected more if the same. Boy was I wrong. I learned so much on the Safari adventure. Seeing all aspects of a large factory and the attention to detail and coordination that goes into the production of premium cigars. Joya and DE were both educational. The blending sessions were by far the coolest part and gives you just a glimpse of what they do oh so well. Smelling ,tasting, burning the various tobaccos and rolling puritos to test out your prospective blends awesome. I highly recommend Cigar Safari if you ever have the opportunity. Excellent accommodations, food, comraderie, and fellowship with Henry, Ed, Jessi and the crew round out a perfect experience. Kudos! Went with a group of fellow Aussie BOTL on January 10, 2016 met some great new mates on this trip including a certain chairman who called me Kenny. I learnt a heap about what goes into the cigars we all enjoy. I loved the resort like complex that cigar safari is at, the food was out of this world as was the selection of unlimited cigars. Everyone was friendly and willing to have a chat. You can guarantee I’ll be back again soon! Attended Cigar Safari from Apr27-May1. What an awesome trip! Traveled down with Scott Bemis, Dave Rolla and myself from the Castros Backroom crew from New Hampshire and John Hart the awesome New England DE Rep. Met a ton of great people on the trip. Glad to have met: Henry, Edward, Christian, Hunter, Travis, Misty, Bill, Billy, Berto, and Jeff. Food was incredible, the villa was beautiful, the multiple tours were facilitating, very informative. I tell all my friends about Drew Estate, now I’ve got even more stories to share. Hope to go back some day soon. 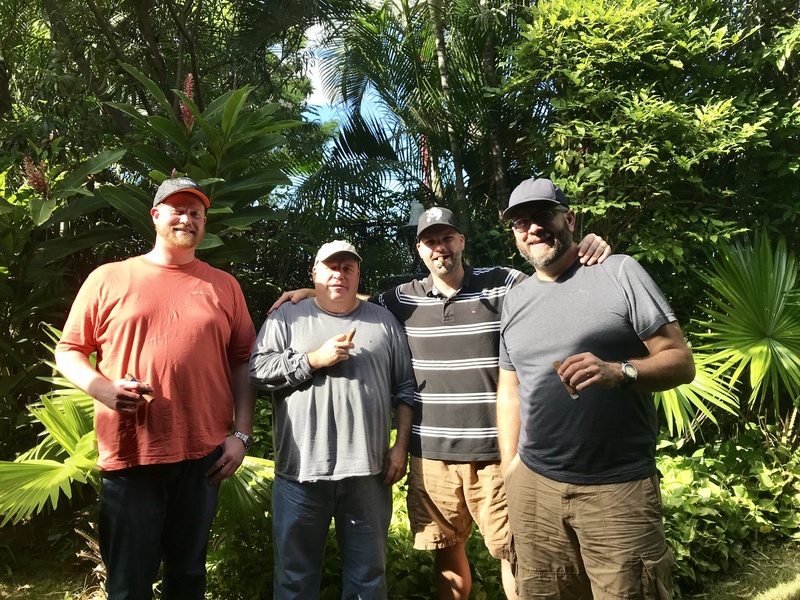 I want to tell you I had a blast at the Drew Estates Cigar Safari on May 8 – 11, 2016. It was my first time there and after watching all the YouTube videos before I left, I was excited to go and knew I was going to have a good time but never realized I would have such a GREAT time! Henry and Edward did an excellent job as tour guides. They catered to us the entire time as well, making sure we had plenty of premium cigars close at hand to smoke as well as an assortment adult beverages! The Nicaraguan history they passed along as well as the information on the cigar manufacturing process was well received. I was very impressed with the meals they provided too. Breakfast, lunch and dinner were all very enjoyable. My compliments to the chef! I really enjoyed the nice evenings hanging out in the Drew Estates Lounge. It was very cool getting the chance to hang out with Jessi, plus checking out all his wild art. The stuff he and his crew painted for us was amazing. Willy and Fabian showed up the next night and we did more of the same – hanging out and BS’ing with them, having some nice drinks and smoking plenty of Liga Privada #9, Undercrown Shade, the Herrera Esteli Norteno and my favorite, the Herrera Esteli. I’m anxious to try out my blends but I’m not going to try them until they age at least 3 months – I’ll let you know then how they turned out. They all make you feel like you’re one of the family. Thank you all for showing me such a great time. I will definitely be back again! Just returned from the Cigar Safari [ Oct 1-5, 2016 ]. Please do not try to describe your experience, because : 1. not one of us can put into words what we experinced, and 2. you can’t possibly put all the highlights of the tour into a few paragraphs. I am going to try and I know I will leave out so many things….. so here we go…..
Long story short – Our group was small [ 6 total, HOW LUCKY WERE WE !!!! ] – Andrew, Michael, Greg, Barry and Dennis. We arrived with only one thing in common and left having said ” wow” and ” thank you ” so many times, we lost track. From the minute we were picked up, Henry and Edward made us feel right at home, this continued throughout our entire stay. Not one time did we want for anything [ information, cigars, Flor De Cana [ lol !! ], and did I mention cigars ?! ]. From the history of the country on the bus ride after our 1st meal [ likely the best steak you will ever have ], to the 1st look at our new ” home “[ greataccomodations ], to getting to know who our BTOL were that 1st evening and the factory tours [ Joya de Nicaragua – THANK YOU Ariel and Master Blender Rudy OUTSTANDING !! , and the DE Tour ], as well as the food [ and the lunch and dinner “surprise ” ], long ash contest and the evenings hanging out in the lounge, this is a bucket list trip. This was my 1st trip, and certainly not my last. My hope is that those of you who read this choose not to go, as it will make finding an opening to return easier for the rest of us !! All kidding aside, please do yourself a favor and make the trip. I assure you it will be something you talk about for years to come. I would like to say THANK YOU so much to putting together the Cigar Safari trips. My trip was March 18-21 2015. This trip was more than I expected, it was full of surprises around every corner. I learned more in two days, than I have in the past ten years of smoking cigars. I was able to meet great people that share the same passion I do. I had a blast! I can truly say I have met some new friends. I wish everybody would be able to attend this trip. Having the group at 15 people was perfect. We were all able to hear everything Pedro and Henry talked about. Plus everything we were able to experience, you are not able to do that what with a larger group. There is no denying how much passion they have for Drew Estate and cigars. SubCulture Studio’s was SICK! Jessis office was out of this word. He has a ton of cool stuff. The stuff he comes up with is pure genius. Also the artists that work under him are incredible. They have a true gift for art. When I gave Jessi me travel humidor and he ask me what was my go to cigar. I told him it was the No. 9 (love that cigar). I thought he would just put the No. 9 logo on it and that was it. That was not the case. His team HOOKED my humidor up! This blew my mind. There were no words to describe how happy I was when I say it. Could not believe what they came up with. I can not wait to show this off to the guys at the cigar shop. Seeing what Drew Estate does for their employees and the community is outstanding. Drew Estate is a humble company. By taking care of your employees is huge in my book. Helping out the community is another great way of giving back. I have a new found love for cigars. Seeing all of the hands that are involved is something else. Now when I smoke a cigar, it will not be just a cigar. It is a cigar that was made with hard work, time, care, & passion. Thank you again, I am already planning on coming down there and do it all over again. Just want to say “thank you” for making my first cigar safari so special. I really enjoyed the surprise mariachi band (even your singing), the birthday cake, and of course the two special cigars (All Out Kings and Pappy Van Winkle Tradition). 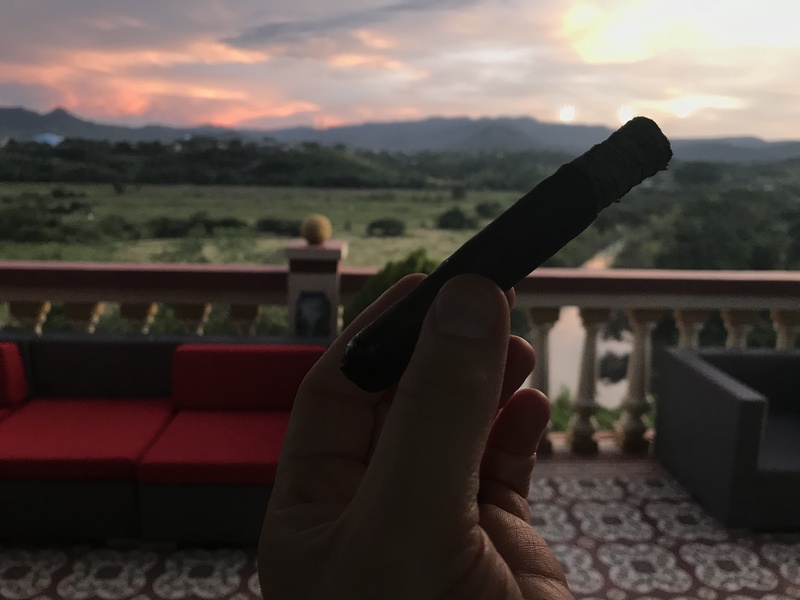 Cigar Safari is a great way to unplug from day-to-day life, learn a lot about cigar tobacco, see first-hand the work and dedication needed to manufacture a consistent product, meet new cigar enthusiasts, and smoke terrific cigars. Please thank Edward, Luis our driver, and the entire staff at the Cigar Safari compound for taking good care of the attendees. Went to the Nov 1st trip and enjoyed it greatly. Didn’t get to do the farm tour due to the late rain season but the two factory tours were fantastic! Henry and Edward are awesome people and are good guides but treat you more like a friend, Great guys. The food was great and the accommodations were very nice especially for the area of the world that you are visiting. The Subculture Studio stuff is awesome and Jessie is a cool down to earth dude. Educational, fun, and something you have to do at least once if not each year. Thanks for the amazing time. I attended in Feb. 2018 with the Cigar Dojo group. All I can say is wow! The accomadations were great and the cigars and foods were great! Looking forward to a future visit.